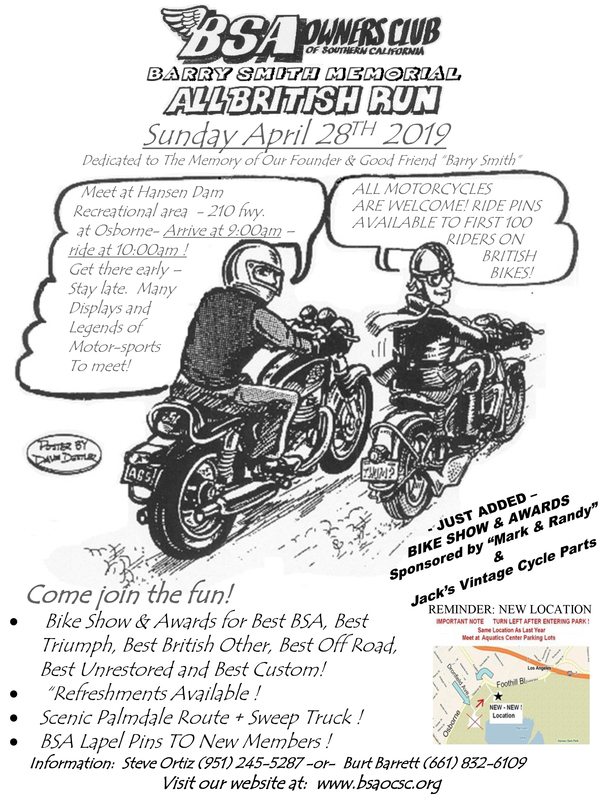 All British Run Hansen Dam | BSAOCSC | JRC Engineering, Inc.
Get there early-stay late. Many displays and legends of motorsports to meet! 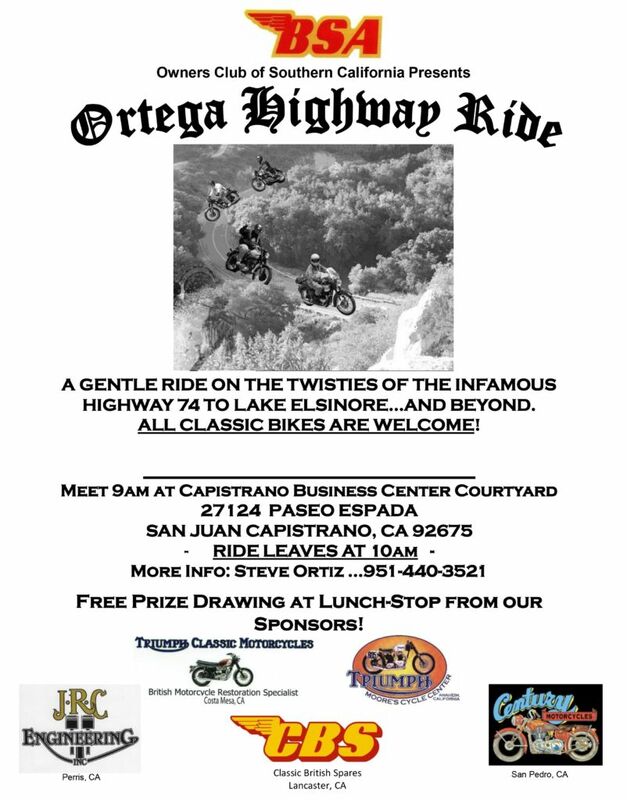 All motorcycles are welcome! Ride pins available to first 100 British riders! Rows and rows of British bikes! New Palmdale route + Sweep truck! BSA lapel pins to new members!